Arizona boasts some of the most diverse landscape and habitats in the entire United States, and this is reflected in the number of hummingbird species that occur in the state. In the low desert, Anna's, Costa's, and Black-chinned are most common. Migration season brings Rufous Hummingbirds with relative frequency. Move into the Southeastern Sky Islands, and you'll see Blue-throated, Magnificent, Calliope, and Broad-tailed with frequency. With luck, you'll add Plain-capped Starthoat, Lucifer, Violet-crowned, Berryline, and White-eared. In this laundry-list of birds, you may even see Allen's during migration, if you are skilled enough to distinguish it from Rufous. Adding in today's subject, the Broad-billed (Cynanthus latirostris), and there are 14 species that visit Arizona! 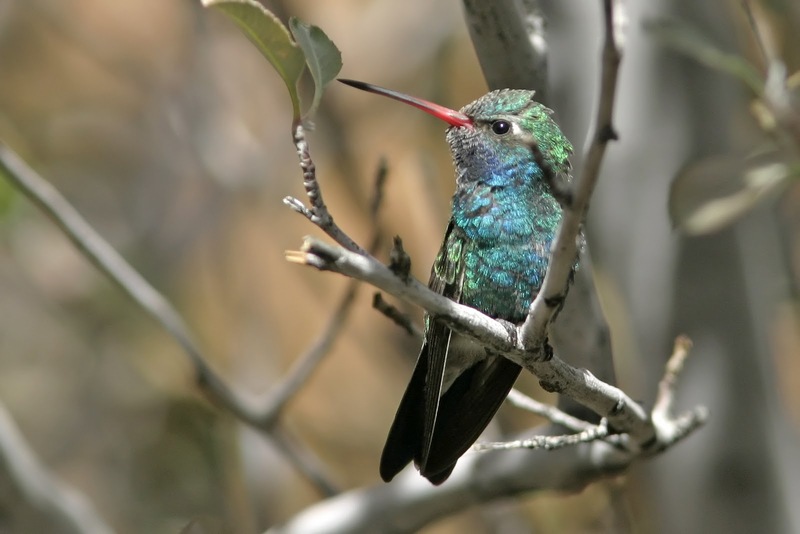 The Broad-billed is another Hummingbird that can be seen in the low desert backyards, but is most often seen in riparian or canyon habitats. It is a stunning bird, with a bright orange bill and blue and green iridescent feathers. The Broad-billed is generally nondescript in other aspects aside from its appearance. It is known to be a "mild mannered" hummingbird - much less combative than other hummingbirds. Wow....I lived in Arizona for over a decade, and I never saw one in the 'wild' but only in the outdoor museums with the aviaries. These photos are stupendous. Hope you can visit; have a glorious day!! Great photos of an exceptional bird. Boom & Gary of the Vermilon River, Canada. Wow this is so pretty hummingbird. Love the color! What amazing captures! I just love the information you've given also. beautiful shots! What fabulous little birds! Gorgeous details of those colorful feathers. A perfect set of photos. Thank yoy. 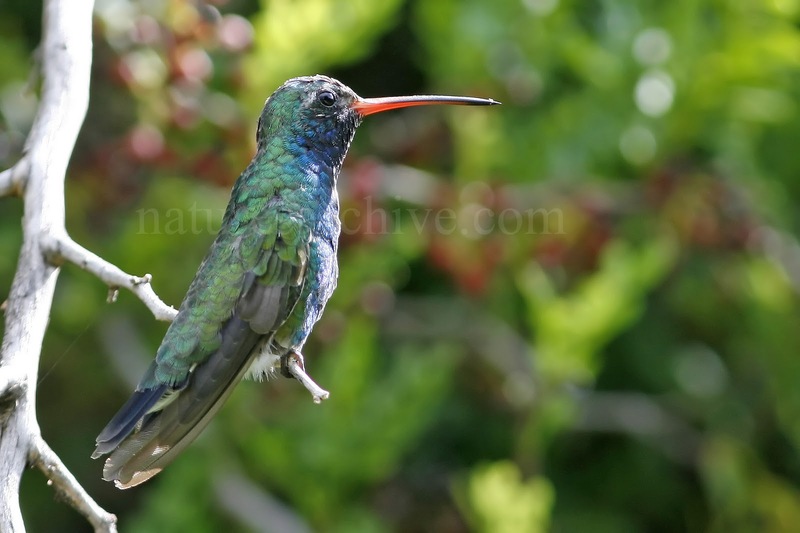 I agree... Arizona's low deserts are perfect for wildlife like the Broad-Billed Hummingbird. Thanks for sharing great pics and information! BTW, you and your readers might like NameThatHummingbird.com.